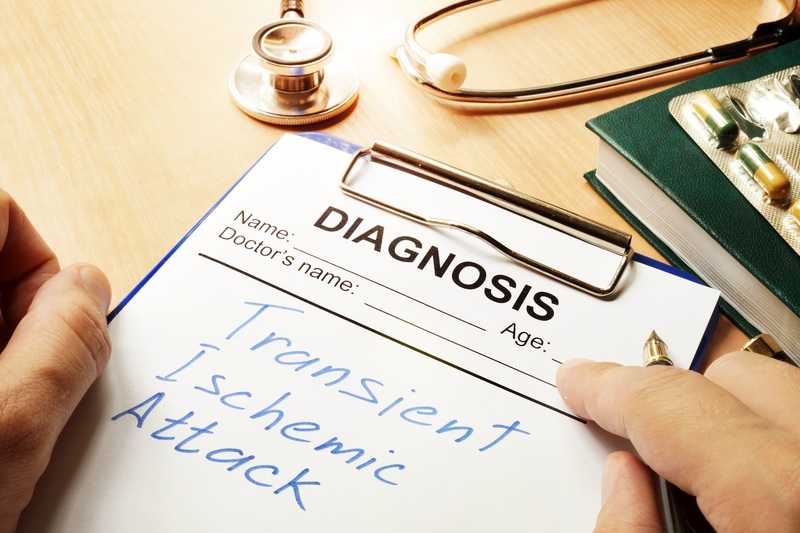 Ministroke also known as a transient ischemic attack (TIA) occurs when there is a temporary interruption of blood flow to part of the brain. The symptoms of a ministroke are sometimes ignored because they typically last only for a few minutes (in some instances up to 24 hours), and may mimic symptoms of migraines, low blood sugar or seizures. If you are experiencing any of these symptoms, it is important that you seek immediate medical attention. 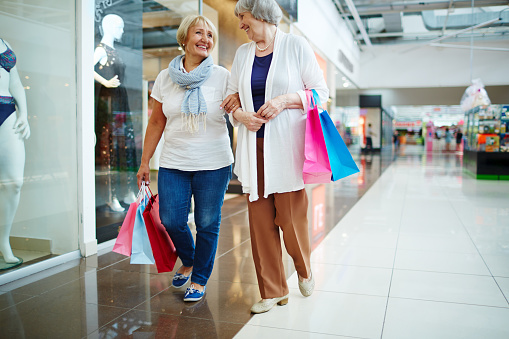 Prompt treatment can reduce your risk of having a major stroke. 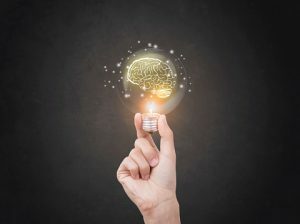 Stroke is an all too common medical emergency that affects more than 795,000 people in the United States each year; of that number, 140,000 people die from complications. According to the Centers for Disease Control and Prevention (CDC), a stroke occurs every four seconds and someone dies from stroke every four minutes. Because the chances of an occurrence are high, there is a possibility that you may come in contact with a person while they are having a stroke. Knowledge is key when helping someone in this situation. 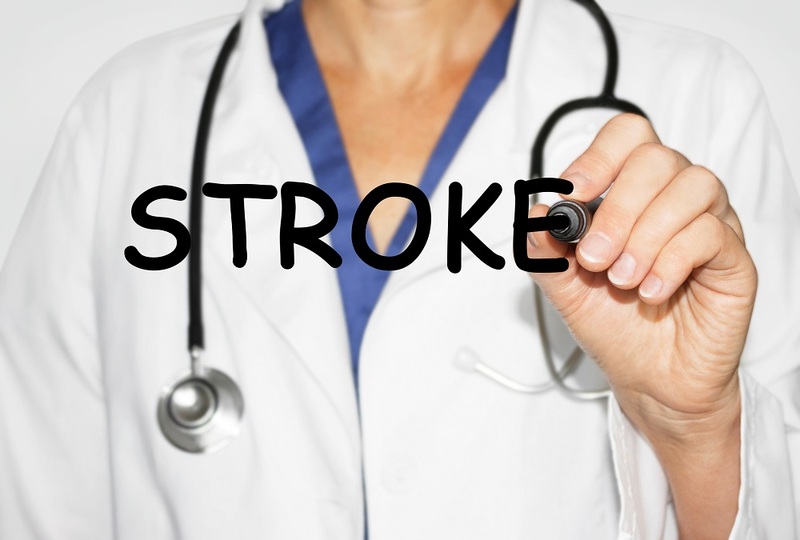 Stroke can occur when there is a blockage of blood supply or bleeding in the brain. Both instances can lead to severe symptoms if not addressed with urgency. When stroke occurs time equals brain: meaning for every minute without treatment 1.9 million neurons (the building blocks of the nervous system) may become damaged or die. Facial droop: one side of the face isn’t moving like the other. If you ask them to smile, it will appear lop-sided or crooked. Arm weakness: one side may be weaker than the other, or they cannot raise both arms together. There may also be numbness or tingling of the arm or leg. Speech difficulty: slurred speech, or speech that may not make sense. They cannot repeat a simple phrase or aren’t forming their words normally. Time: if you notice any of these signs, call 9-1-1 immediately and remember the time you first noticed symptoms, this will be very important information when it comes to treatment. Other signs of stroke may include a sudden severe headache, changes to vision, confusion, numbness/tingling, trouble walking or poor balance. If someone you know has symptoms of stroke, CALL 9-1-1! Emergency medical staff can provide early diagnosis and treatment and ensure that the patient gets transported where they need to go as quickly as possible. 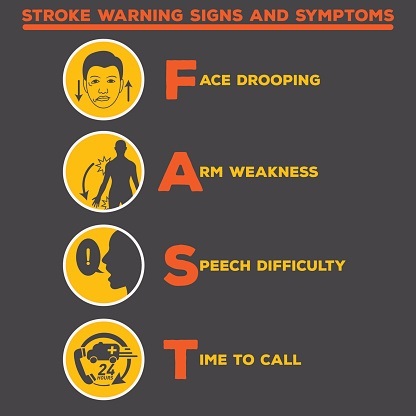 Recognizing the signs of stroke early can save a life! For more information about stroke and stroke prevention and treatment, you can go to www.cdc.gov/stroke or www.stroke.org or schedule an appointment with your doctor to discuss what risk factors you may have and what you can do to minimize your risk of stroke. High Blood Pressure? Check Your Salt Intake. In the United States, one out of every three adults has been diagnosed with high blood pressure. It is a symptomless disease and is known as the “silent killer.” One step you can take to avoiding or controlling high blood pressure can begin with your diet. 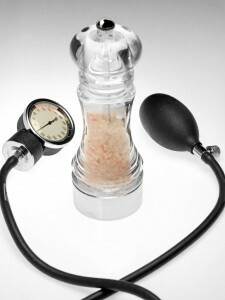 A high sodium diet increases blood pressure in many people. Based on the recommendations of the U.S. Department of Agriculture, the amount of salt intake in your diet should be no greater than 2,300 milligram per day, which is the equivalent of 1 teaspoon of salt. This can be easily consumed if you are not watching what you eat. You may be consuming them every day without knowing its potential to harm you, or your family, in the long run. Many convenience foods can be a culprit of containing high sodium content. Making the effort can be difficult at first but it’s worth your long term health. If you believe you are at risk of high blood pressure, speak with your physician and see if a low-sodium diet could benefit you. If you do not have a private physician, please contact Jamaica Hospital’s Ambulatory Care Center at 718-206-7001 to set up an appointment with a physician. For these and other helpful ways to side step hypertension, log onto www.webmd.com. 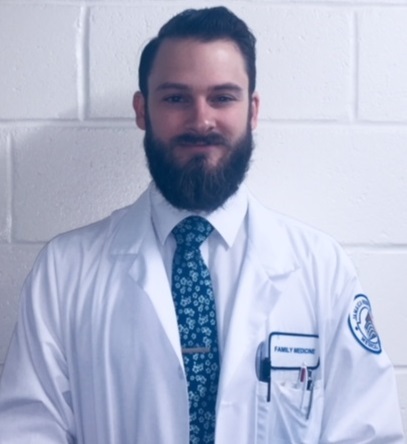 Jamaica Hospital Medical Center is a state- designated stroke center and during the month of May we are showing our support for stroke awareness and American Stroke Month by educating the communities we serve. To speak with a medical professional about stroke prevention and care please call our ambulatory care unit at 718-206-7001 or visit the National Stroke Association’s website at www.stroke.org.